I have another paper project to share! 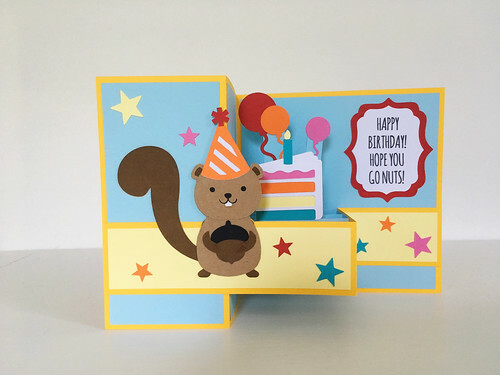 This birthday card was made by combining two of Lori Whitlock's card designs: her Fall Squirrel Pop Up Box Card and her Birthday Eat Cake A2 Box Card. 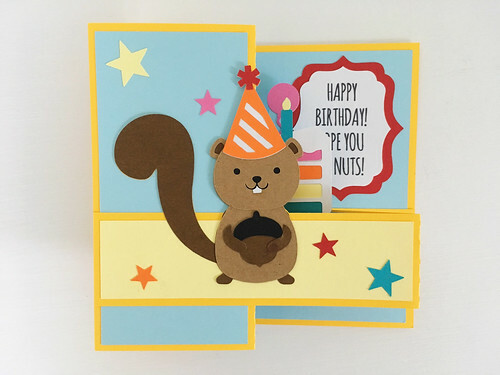 I was able to use the basic shapes with only a little bit of improvising to make the cake and balloons "pop up." And of course it folds up into a nice square which I put into a 5 3/4 inch square envelope made from a Paper Source envelope template. Boy do I love my Silhouette machine! !